Here it comes as promised, my first ever giveaway!!! This I am doing in honour of my one year quilt anniversary (not to be confused with blogaversery as that will only be later in the year). About a year ago around Easter time I started my first quilt. I had taken a two week holiday and decided to spend it at home, going to the theatre, cinema, exhibitions, watching endless hours of recorded television and roaming around Soho. I think I love a staycation these days as much as going away. I've travelled a fair bit over the past 20 years but sometimes I am just content to stay at home. So I went to the Quilt exhibition at the V&A that was on at the time and I obviously loved it as it was fantastic. After that visit I went straight to my local quilt shop Tikki Ltd. and squeezed all the knowledge out from Tina the owner I could possibly do without being to rude, bought a whole bunch of Kaffe Fassett and Philip Jacobs fabrics and started sewing. Little did I know that a year later I was still sewing, got totally obsessed and had finished 12 quilts and various bags and garment pieces. 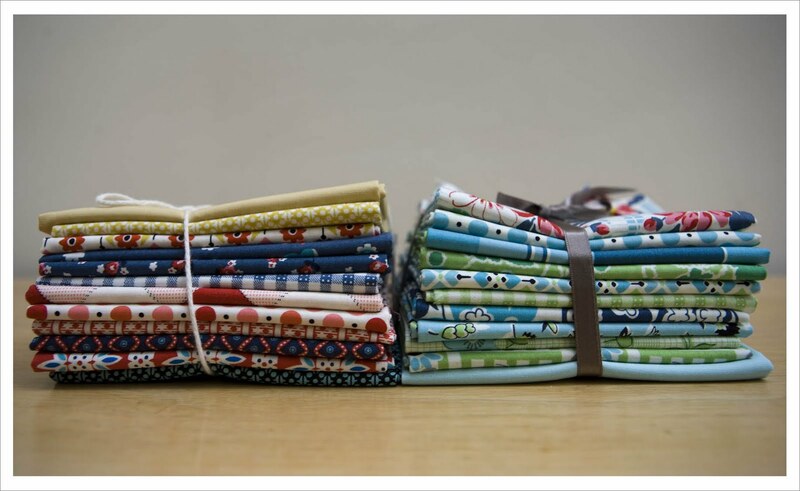 So in honour of that I am giving away a fat quarter set of the entire new Denyse Schmidt range 'Picnic and Fairground' that I purchased when I was in the US plus two coordinating solids I added myself. Trust me it is a great range and full of bold colours that are just perfect for this time of the year. One comment to tell me that you promoted this giveaway on your blog/flickr/facebook/tweed/ local paper/church........you get my drift...I want exposure ! I think that's it......enjoy ! That V&A exhibition has a lot to answer for! I am a follower; and if you want a peaceful holiday avoid following me and the family to the Weymouth area this summer! I will be tempted to leave the kids at Monkey World! Will blog (in teeny tiny writing) tomorrow and come back for my second chance! busy time of year in Horticulture from now til then - so I am........Forbidden To Take a Holiday lol! Congrats on your quiltaversary Judith :-) you have been a very busy bee this last year & put me to shame as I reckon we started quilting around the same time & you have made LOADS of beeyootiful quilts - & I have made? Notalot lol! I am, of course, a follower of yourn. We are off to the Dorset steam fair in September, one week in the caravan in peace with loads to see and do yayyyy!! we go every year. Im a follower and that fabric is so pretty, never worked with a collection so that would be brilliant!!! What a great giveaway! Congrats on your 1 year quiltaversary! I am a follower! I'm not sure where we're going on holidays this year but the funds will not run to out of the country. I'd say a week in beautiful wild West Cork might be on the cards, and if we get the weather, its the most gorgeous place in the world! I posted it to my Facebook page and tweeted it for you too! does going to salt lake city class as a holiday? Me and the kidlets are off to Spain to visit Granny this summer...but no proper family this year. BooHoo. On my next holiday I'll be going to the UK where I spend pretty much all my holidays. I am a follower, dont know if I will ever take a holiday somewhere. Probablly will never be able to afford it. My next vacation will be at the family cottage in Wesport on Thirty island lake! I saw this blog through the exposure from FairyFace on Facebook and delightfully "shared" it as well! I hope you get many more followers! Cheers! No holiday for us this year. I am now a follower. Does going to Quilt Market count as a holiday? I think it will be more of a holiday than when the family goes down to visit my parents in South Carolina. Oy! And I just tweeted about the giveawy! Thanks, and congratulations!!! I am going on holiday to NY/NJ for my cousins wedding. It will be fun seeing my family. Funny small world story about the trip: the guy I went to Junior Prom with many many years ago is her wedding planner, so I get to see an old friend too, isn't that funny? My next holiday will be the Police & Fire Benefit Motocross Races in Canton, OH. YAY! I advertised your giveaway on both facebook and twitter! Oh Lord I hope I am not a Watermelon LOL I am however a follower! As far as holiday...well I had big plans but my dear son from Michigan (500 mi away) called yesterday to announce he was getting married here in The Gap. There went my holiday!! BUT I am going to a fab (I told you I was Brit) quilt show for an entire day even if it is only 45 min from my house...it is prob the only holiday I will see this year! I tweeted about your giveaway and will share it on my blog on my next post. Prob tomorrow...I will email you to let you know. Thanks for a great giveaway! Nice! We're heading to Cancun next week! We can't afford a holiday this summer, but we plan to go camping on occasional weekends. I'm following you on my google reader and on facebook. Nice giveaway! Our anniversary is next month and we are going somewhere...but we haven't decided yet. But I do know that next year for our anniversary (our 40th) we are going to POLAND! Can't wait for that holiday! And, I am a follower. I am still amazed at your talent. Only quilting one year...are you sure? Maybe you quilted in another life... Ha! Ha! I am a new follower. My next vacation will be spent on Sanibel Island, Florida for the best shelling ever! I shared your giveaway & blog on facebook! Holidays will most likely be in the north east of Scotland again. My next holiday will be a trip to San Francisco, California, USA to visit a very good friend. We plan on doing some sightseeing and fabric store searching. She wants to learn how to quilt. Yipee! Another convert. I am about to join as a follower.and I am going for a long weekend next weekend to Argyllshire. Am going to post a link to your very generous giveaway on my blog. We are going to Branson, Missouri, in June, on a family vacation. I am a follower. I now follow you and I'm hoping to get to India this December for a wedding. MommapudDing tweeted your contest. Congrats on your first year, I have no doubt you will have many more happy years sewing ahead of you. I'm a new follower. An international one at that. My next vacation (I love that you call it holiday) will be traveling around my own state of Oregon. Can't believe that I haven't done this yet. I'm a new follower and we're off to Ireland in July!! I can't wait - Ireland is such a fabulous place, we've been going there for over 20 years! I don't blog, twitter etc bit I have emailed my sewing group!! I hope that counts! I'm a follower of yours. You are such an inspiration. I plan on going to the Sister, Oregon, for the annual quilt show and activities in July. Can't wait! Thanks for generously sponsoring this giveaway. Sorry, I don't have a blog or Facebook, but I shared your website with my quilting group of 10 women. Besides getting together during the year in smaller groups, we hold an annual 4 day quilting retreat in February. It's so much fun and we get a lot done inbetween chocolate and wine breaks! I just found your blog -- Looks like a fun site. happy one year quilt anniversary! and wow, you've achieved quite a lot in just one short year! and i do love a staycation too. the next vacation we are taking will be to china and probably south korea or japan. my fiance and i are getting married in september and it will be our first of two honeymoons. the second one will be in the spring next year and we are hoping to go to spain and morocco. oh, and i'm a new follower! 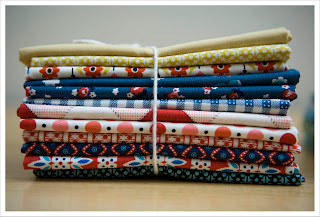 also just linked to the giveaway on my blog under fabrics fabrics on the sidebar! thanks for the giveaway! Wow Judith you have only been quilting such a short time - only a year now - you remind me a lot of me - my family say - what did you do before quilting and I haven't got a clue! Anyway, we're going to have three weeks in a villa with pool in Portugal - perfect when you have four kids - and I will take a number of hand sewing projects with me of course. I don't know whether I formally followed you or not so will click to follow after I've left this message. This is a totally fabulous giveaway BTW - make sure you also advertise it in Brit Quilt and feel free to post it in Lily's Quilts too. 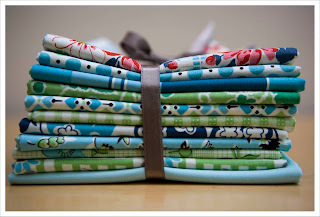 A lot of the big swaps also have giveaway threads, as do groups like Fresh Modern quilts. I also usually post my giveaways on a site called "Quilty Giveaways" - new giveaways posts open each Monday. Good Luck with this! I'm following. We are going on a wine country tour for vacation. Well congratulations on your quilt anniversary! It was just about a year ago that I finished my first quilt too! I'm now a follower and the only holiday/vacation I will get this year, will be a day trip to Garvan Woodland Gardens in beautiful Hot Springs, Arkansas. It's about a 45 minute drive from my home. This is a wonderful giveaway and you are very generous! I am a follower and my next vacation is to Las Vegas and we leave in 5 days! No holidays planned - I just got back from Las Vegas last month. I'm a new follower. Thanks for the chance! I forwarded your blog to everyone I know! I am following you here and on FB! This summer we will go to Asturias, northern Spain, as we do all summers. It's a beautiful place. I have linked to your post on my FB! Thanks for the giveaway!!! Wow, you've made some fabulous quilts in just a year! Congrats on your quiltaversary and I'm now following you for inspiration! I'm really excited as I'm going on my first holiday in 4 years next month. We're joining OH's elder daughter and family for a week in sunny Benidorm! What a tremendous giveaway! I am now following your blog. My next holiday is next week. Going to a graduation in Los Angeles and the DISNEYLAND! ...um that was "then" Disneyland. 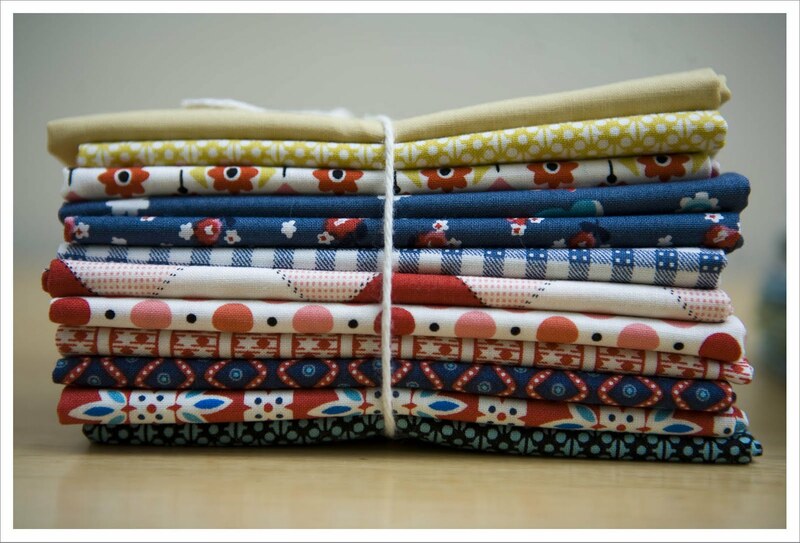 we don't have a JoAnn's here (the Netherlands), so you are so lucky to be able to purchase this lovely fabric! We are heading to Marthas Vineyard this summer, can't wait. Im now a follower! My next holiday I am going to Boise, ID to see family over Memorial day. I now follow you blog. I just posted a Tweet about your giveaway with a link to this page. No holiday as such, but a weekend in the Big Smoke in June to meet blog friend V of Bumblebeans! And FOQ for all 4 days! Does a busmans holiday count? I'll keep my melons to myself, but I'm a follower and fellow calender girl! Boy are those fabric beautiful. Our next holiday will be to the Beach ... in North Caolina. I use google.com/reader to follow the blogs I love ... you're listed. Going on "Holiday" to St.Augustine for a Beach Wedding+some fun! Thanks so for sharing this neat giveaway! My next holiday will be going to the Cape Cod area of Massachusetts. Living in the city of Boston, this will be a wonderful getaway! thank you. I am now a follower. I tried to get this at my Joannes and so many of the prints were sold out. Please pick me. I'll promote your giveaway on my blog tomorrow when I do a posting. As for holiday I'll be going abroad to the Isle of Wight (lol! )in a couple of weeks for a weekend break - we've needed one! No airport hassle, no passport, just a ferry trip to make it a holiday. Beyond that I'm sure we'll get a holiday before the Festival of Quilts in August. I am a new follower. You have certainly accomplished alot in 1 year! Can't wait to see what you're up to next! Hi - Going to San Francisco for "holiday" - it's actually home but we've been living abroad - I'm really excited to go back home. And I already follow your blog. 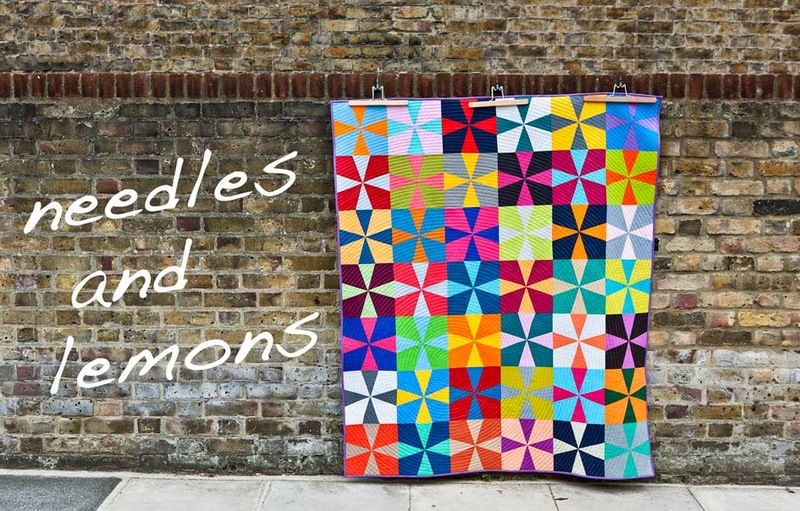 I emailed my 3 quilty buddies - Connie, Connie & Catherine about your giveaway but I hope I win! Wonderful fabric - thanks for the chance. I'll post about this on my blog too. I am a new follower and love your fun blog. My family and I are going to Chyhoga National Park in Ohio- its beautiful hiking there! Thanks for the lovely giveaway! I don't have a holiday planned, I will be busy making wedding cake for my niece. And I follow your blog now. I am not watermelon,but I do like them!! I am following you now and as far as vacation somewhere on an island preferably! and I am now a follower, and I will mention this great giveaway in any blog commenting I do in the next few days. Our next little mini vacation will be to watch our daughter graduate from university this month. That is a BIG celebration! I've also posted you on my Twitter (scrapcat) and Facebook accounts! I am a new follower!! My next holiday will be a vacation to visit my family in California. :) Thanks for the great giveaway! I tweeted your giveaway on Twitter!! :) Thanks for the chance to win!! I promoted this giveaway on facebook:) Thanks again for the chance. I am a follower, unfortunately i will not be going anywhere for a holiday. What a seriously fabulous giveaway specially for those of us (me! me!) who cannot get their greedy little paws on this because we haven't got Jo-Ann's in the UK. I don't qualify as a watermelon (more of an Apple) or extraterrestrial but, hey...anything goes. Going to Newport, RI, for my next vacation! Wow, only a year quilting and so good already! I am now a follower. I will probably do a staycation this year too except in late Sept, some quilting friends and I are road tripping to Des Moines, IA for the AQS show. We went last year and had so much fun! Following, and I let my FB pals know about your giveaway. I am now a follower. I can't believe you've only been quilting a year! My vacation this year will be to Syracuse New York for my little brother's wedding (he's 39) in September. I've been there before, but the rest of the family hasn't, it'll be a fun trip! My next holiday will be in Spain. I wrote about your giveaway in FB. Wow i can't believe you've only been quilting for a year! You might want to change your blogname? *grin* I love the kind of fabrics you use and what you do with them. Became a follower right away! Hahahha i am a total doofus! Totaly forgot to tell you where we're going on holidays. I live in the Netherlands and we're staying there for holidays this year. We're in the north and going to Limburg which is in the south. Holland being so very very small that you hit another country if you travel 2 hours east you're in germany or 3 hours south and you're in belgium. I have seen both those countries, but never seen Limburg which is in my own country. Oh and as said i am a follower! oMG!!! holidays!!!! they're so far right now, just beginnig winter season and my holidays are due on next summer :S, to the beach as usual. Hope I am not too late. I am a new follower and my next vacation is actually Europe. Croatia and Italy. Whoo! I'm yr follower from now on. My holiday will be spent at the beaches of North Carolina. Thanks for the opportunity to win your beautiful giveaway. Now, I'm off to blog about it. Just to be sure... I also blogged and tweeted about it! Thanks for the second chance! Oh. I forgot to mention that I am now a follower of your blog. I am now a follower. I'm going to the Thredbo (Australia) for a weekend of skiing on what passes for the snowfields here. Sadly there are no fabric shops in the vicinity! For our vacation holiday we may visit my sister and her family who lives in a U.S. National Forest. Thank you for the opportunity to enter this giveaway. We are going to a theme park this summer! Thank you for the giveaway! I follow you! I'm a follower and I have no idea where my next vacation will be but I hope it's somewhere warm! I am a new follower. My vacation is this coming week and I will be going outside of my house to work in the yard. Hopefully I will be able to find some time to quilt in there too! Wow! Fabulous giveaway! This line is not available in Australia yet! I am flying across to London, then onto France and Spain in 5 weeks!!! Not much sewing will be done but I'll have a fabulous time! And I am more than happy to be a follower! On my next holiday, we are planning to spend a few days in Washington D.C. My older daughter is super excited!! I am also a new follower, I am going away to my first quilt camp for my next holiday and I posted your giveaway on my Facebook Page, Thank You So Much! I am a new follower. I wish we had the Money to take a vacation. If we do have the money, I would love to go to an indoor water park with my three little boys and my parents. I'm a follower. I just returned from one vacation, a cruise thru the Panama Canal; next I'm going to NYC. I'm a follower and I live in the most awesome place for Spring, Summer and Fall, so no holidays planned at this time! Next winter...Florida! My sister and I have talked about going to Peru and hiking up to Macchu Pichu. She is definitely going, but I am still just considering it. I am a new follower - and my comment seems to have disappeared into cyberspace! 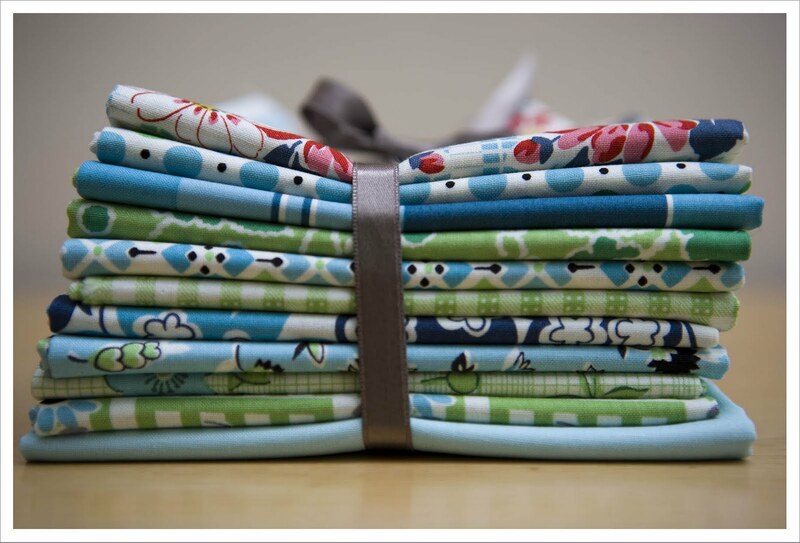 You are lucky as a new quilter -- so many more quilts to look forward to! I tweeted about your fabric giveaway. I am so excited!!! I just signed up as a follower - like some of the work I have seen so far - look forward to reading about you and your projects. 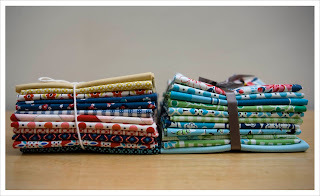 I emailed several of my quilter friends about your giveaway - I don't blog, tweet, or such so hopes this counts. I have shared the news of this giveaway with my nieces; I'm guessing they'll be racing over here to enter soon. Wow, you've managed a lot in a year. I too am a newbie but obviously not quite as quick as you. My next holiday will be to the glorious west of Scotland to camp at the beaches near Morar/Arisaig, at the end of May. I'm going to try to take some sewing as i've just started a quilt as you go project. I'm now a follower having seen this giveaway on Lilysquilts. Hi Judith, I am now a follower. I moved the opposite to you.. I am from the UK but now live in France! We wont be holidaying this year (at least not together!) one of my dogs was 18 in April and I refuse to put her in kennels now. I may get a week back in the UK with family which is always nice to do. Thanks for the fab giveaway. I'm following now. Great giveaway. I'm going to camping in the forest!! And I just twittered about the giveaway... to good to not be shared.. or was I stupid now... ;o)) minimizing my own chances..:O)) well well ... to got to not share!! Smiles to you from Sweden.. I'm e new follower of your delightful blog. As for my holidays I still don't know if I'm going anywhere...My daughter has exams and the crisis here in Portugal is leaving everyone in a bad condition. Hi there...I am a Canadian Living in Sudbury, Ontario. Our next vacation will be to the State of Vermont in the USA this summer. We will attending Ballroom Dance Camp for the third time. We love it! I have now subscribed to your blog with google reader. Thanks for the opportunity to win this lovely giveaway. What a fabtastic giveaway! And I'm so pleased to have found your blog, via Lynne and Hadley ... yay! As for holiday, I'm hoping to get a couple of days in some European city in August. I'm a happy follower!!! Your blog is great! Great giveaway opportunity! I am a new follower. For our vacation in July this year we will be going to Salt Fork Park in Ohio. It's only a little over an hour away, but it is a special holiday because my husband's whole family will be camping also. This is a first for all of them. Wish us luck! Thanks for a great giveaway. The weekend of Memorial Day we are taking our motorhome down on the river in southern Wisconsin. Our friends have a place right on the river. I have twittered about this wonderful give away. I REALLY hope I win.